Direct from Hong Kong - Cathay Pacific has announced it will start a new nonstop service to Seattle-Tacoma International Airport on 1st April 2019,. It will be the only airline offering a direct link between Hong Kong and the fastest-growing city on the West Coast. 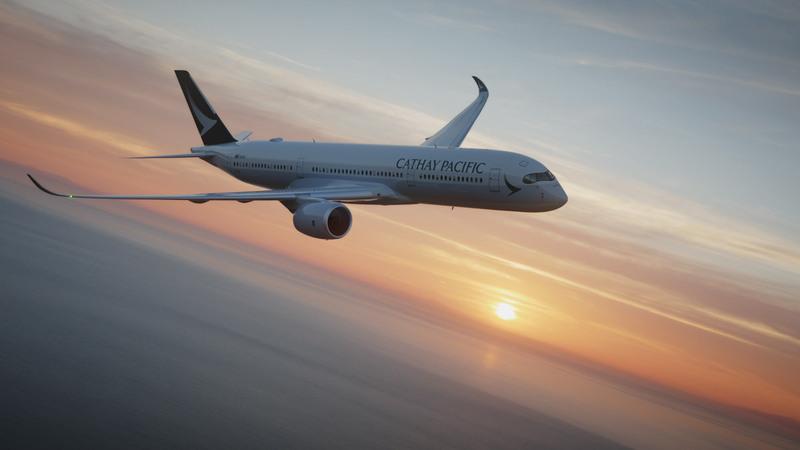 The service will operate four times each week and will become Cathay's eighth passenger gateway in the United States, and its 10th in North America. The airline already flies to Boston, Chicago, Los Angeles, New York (JFK), New York (Newark), San Francisco, Toronto and Vancouver. Plus in September this year, a service to Washington, DC will be started. The airline is undergoing a period of unprecedented growth, with nine new destinations having already been announced for launch this year. Mr Hogg added: "We are very pleased to be introducing Seattle and to provide more convenience and choice to our customers. There are strong business, trade and cultural ties between Hong Kong and Seattle and we believe there will be considerable demand for both business and leisure travel on this new route. Stephanie Bowman, Port of Seattle Commissioner said "We are thrilled to welcome Cathay Pacific, a well-known name that many of our travellers have wanted to see at Sea-Tac Airport. As the airport serving a dynamic and globally-savvy region, Sea-Tac Airport is proud to expand our international offerings." The airline's customers will enjoy a superior experience when they fly between Hong Kong and Seattle. Cathay Pacific's A350-900s are amongst the quietest and most environmentally-friendly aircraft in the sky and are equipped with comfortable seating, an enhanced in-flight entertainment system and Wi-Fi connectivity across Business, Premium Economy and Economy classes.